This one resembles Appa in the cartoon Avatar of The Legend of Ang (for those who have watched) who has a giant body with six legs that can fly. But instead of giant bodies of creatures named latin Hypsibius Dujardini is a micro animal that measures between 0.1 and 1.5 mm. Legged more than Appa is 8 feet and can also fly in the water and in the air. But do not underestimate the size, although very small animals this one is able to live in conditions that are very extreme that does not allow any life can survive. The creature is often nicknamed water bear or pig moss is commonly found in water. They are able to live in freezing temperatures (0 ° C) to above boiling point (151 ° C). Also can survive in space especially in vacuum conditions, immune to exposure to solar radiation, gamma and ions. In addition Tardigrada able to withstand pressure 6000kg / cm. Wow amazing is not it ?. 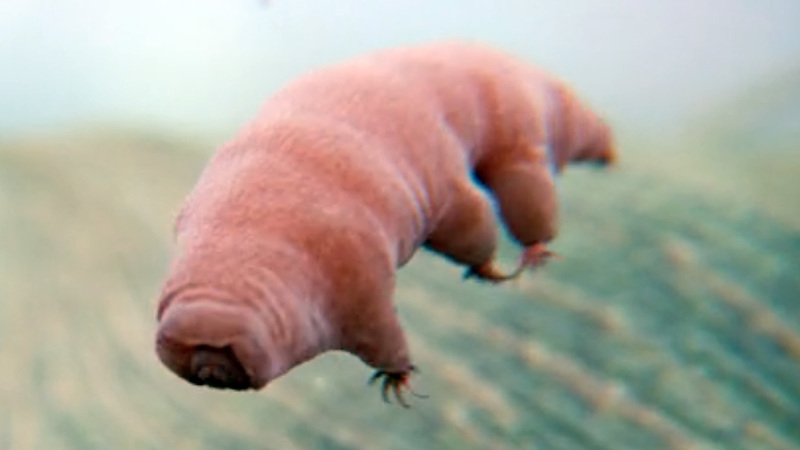 Because of this incredible adaptation power, tardigrada can live eternally and you can find this animal anywhere within our body. 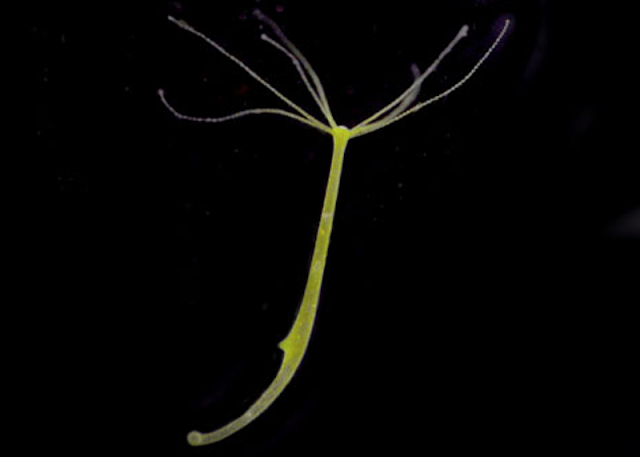 The perennial jellyfish also includes micro creatures with a size of about 4 to 5 mm. Habitat originally came from the Caribbean sea and now has spread all over the world. 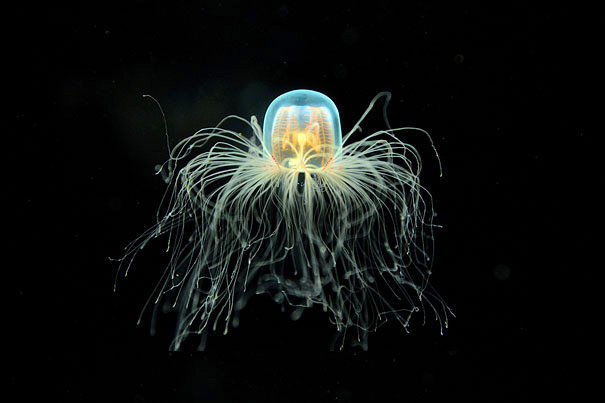 Jellyfish that have Latin language Turritopsis nutricula has its own ability that makes it able to live eternally is the ability to regenerate the cells of the body into a new periodically so avoid the aging. This regeneration process is called transdifferentiation. If the average jellyfish died after mating, this species would turn its life cycle back into a polyp larva and become mature again and repeat endlessly. This cycle also occurs when jellyfish jelly is injured or sick. For fans of sea food must be familiar with this animal. Behind the delicacy turns out this animal also has the ability to live eternally. 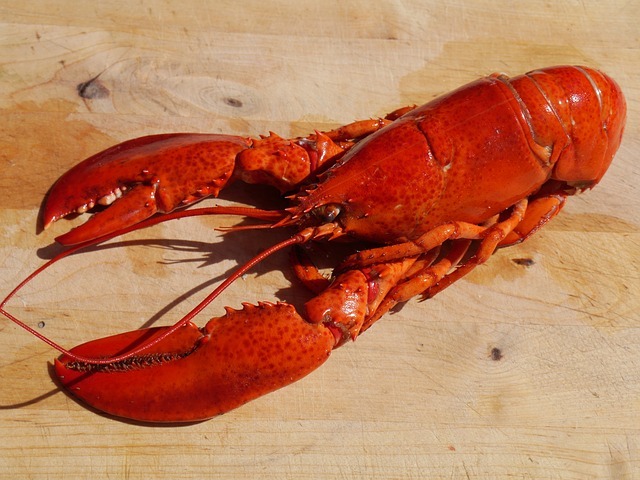 According to lobster research can grow bigger and stronger with no limit as you get older. The thing that makes it immortal lies in the production of the enzyme Telomerase in its body that occurs constantly. This enzyme is able to protect DNA from degradation so that aging will not happen. The largest lobster ever found in Nova Scotia Canada in 1977, which weighs 20 kg and is estimated to be 100 years old, is likely to have many lobsters out there that are larger than this finding. Turtles are indeed animals that are famous for their long lives, because they have the ability to ignore the aging "negligible senescence" and will continue to grow despite having passed the period of sexual maturity. 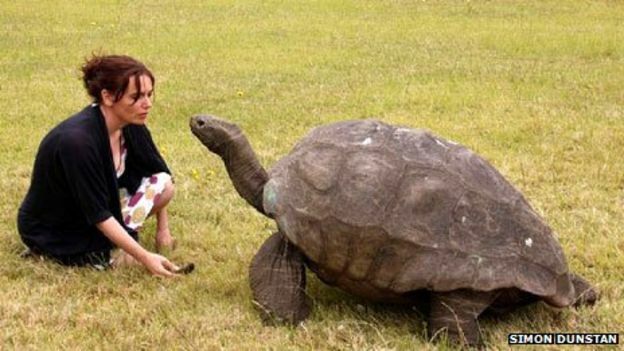 The oldest turtle that ever lived according to Guinness World Records was named Tui Malila who died in Tonga in 1965 at the age of 189. The oldest surviving tortoise is currently named Jonathan, the 183-year-old Aldabra tortoise turtle located on St. Helena, West Africa. Reptiles that are often called planarian worms have a unique method to avoid the aging is by splitting. When their bodies are split they will regenerate their body cells into new ones, reconstructing their body parts such as muscles, skin, intestines and even the brain. Although you mutilate into many parts, they will still be able to regenerate into new individuals, this is because the stem cells are found throughout their bodies. Hydra is a small tubular invertebrate animal group with long tentacles from one end. Their length is only about 0.4 inches (10 millimeters) and feeds on smaller aquatic animals. Hydra is known for their regenerative abilities. Most of the cells of their bodies are stem cells. These cells are capable of splitting continuously into all kinds of cells in the body. In humans, these cells are similar to "totipoten" cells present only in the first few days of embryonic development. Instead, Hydra keeps renewing their bodies with fresh cells so as to enable them to live eternally.